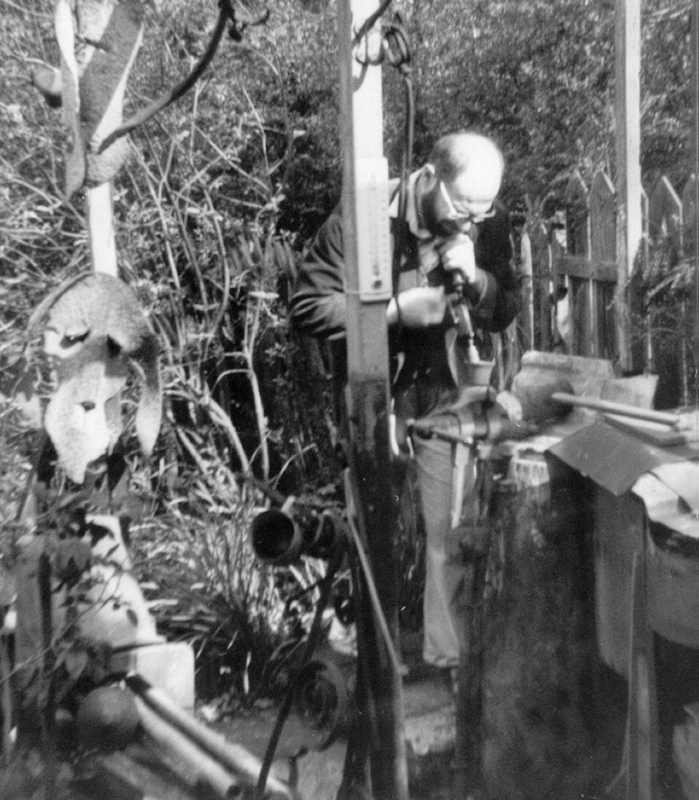 Friedrich built a small forge in his back garden in the early 1960s and learnt by trial and error how to create these pieces from rods of wrought iron. The sharp sound of hammer hitting metal frequently rang out in Bulls Copse Lane. Favourite subjects were styalised horses, donkeys and deer, but he also made some crucifixes. Copyright ©2018 Friedrich Nagler Artist, All Rights Reserved.